FAIRFIELD — It was 17 years ago that the planes flew into the World Trade Center, the Pentagon, and a field in Pennsylvania. And in the 16 years since the terrorist attack, town officials, first responders and community members have gathered in the driveway of fire headquarters on Reef Road to remember the victims, including the first responders who have since died from cancers. But there was also fear — would there be more attacks — and anger at those responsible, Lyddy said. The anger, he said, became a resolve that continues today. First Selectman Mike Tetreau said he was in a commercial real estate office in Shelton, when the rumors began to circulate. They rushed down to the first floor, where the fitness center had a television set. He worked at one point in the Twin Towers. “That is why we are here today,” McCarthy said. 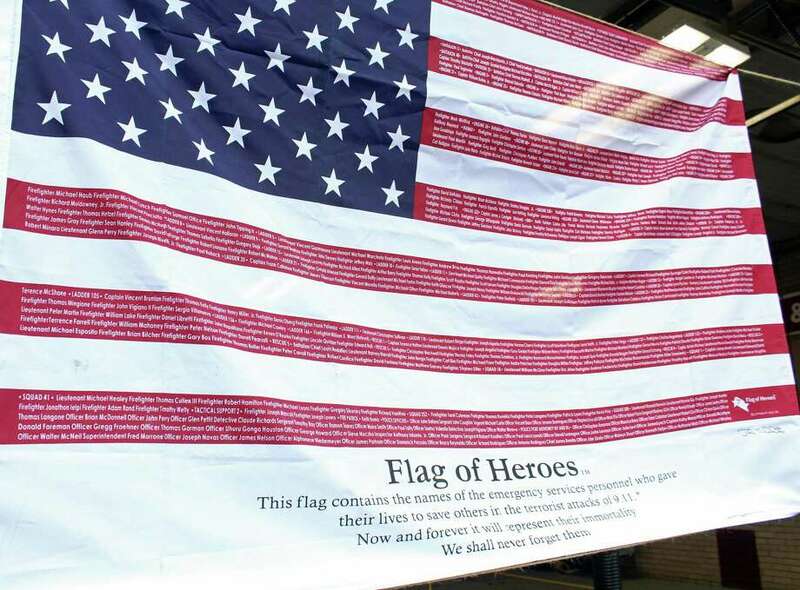 This past year, another 182 names, he said, were added by the New York Fire Department to the list of those killed in the 9-11 attacks. These dead are firefighters who died as a result of cancers linked to their time working at Ground Zero. “There were 18 that died just this year,” McCarthy said. It is possible, he said, that one day the number that have succumbed to cancer will be higher than the 343 killed that day. There are positives from that day, McCarthy said. “It brought out our best in human nature,” he said. For the emergency service, McCarthy said, failure is not an option. “So we will always look forward, but we will never forget,” he said.